Pond X, what does that mean? I will tell you what it means, when someone refers to pond x they are saying in a friendly way that you will never know where their secret honey hole is. TinBoats member 00 mod has his secret spot, and it’s an awesome one for sure. The pictures of the fish he posts from this body of water are simply amazing. He is in pursuit of a double digit bass and I have no doubt we will see it soon. 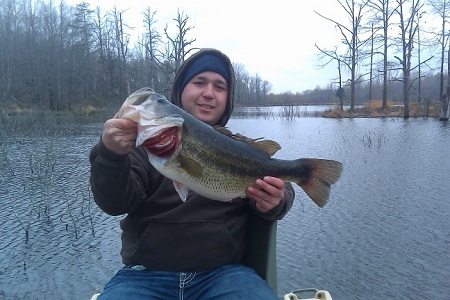 If you are a member(free to join) you can read all about his fishing day and view some of the monster bass he gets here.